I have advocated building a big mirror in the Australian outback, to reflect a whole lot of sunlight back into space and counter the effects of global warming. My preferred construction technique was a nuclear blast that would melt the sand to glass. Happily, this would also create a nuclear winter that could be the extra surge we need in the race to cool the planet. I was drunk at the time. Now though, the issue of global cooling is on the table for rizzle. There’s a huge debate going on over at the New York Times, complete with name-calling, conspiracy theories, some real NASA scientists and a hefty sprinkling of crazy basement scientists. They call global cooling ‘ geo-engineering‘. It is mainly being promoted by the mobs who sell fossil fuels. These are the people who still call climate change ‘global warming’ and believe the arrival of winter each year proves that all the greenies are bonkers. A lot of the debate consists of accusations that global warming is a front for imposing radical leftist ideology on the world. They want to inject sulfur particles into the clouds to reflect back the sun. But, poisonous gases aside, I think geo-engineering could be a good idea. Seriously. Climate change lags behind our actions that cause it, because those gases hang around. Even if we went to ZERO emissions right now, the globe would warm a degree over the next 100 years. A combination of emissions cuts and global cooling actions will give us the smoothest ride, temperature-wise. The risk is that if we start global cooling, people will think they have carte blanche to continue to pollute. It should be just a stop gap while we bring atmospheric carbon concentrations back under 350 ppm. Why not just synchronise our polluting and geoengineering? There could be weird unintended consequences of geo-engineering. Just as climate change makes some places more liveable, so geo-engineering could disrupt climate patterns in local areas. Imagine if the US did something and it made London five degrees warmer! But also imagine if it got 5 degrees colder. Brrr. Geoengineering could start a war. Also, it can’t solve the other problem of atmospheric carbon build-up, which is ocean acidification. All the ionosphere-based mirrors in the world aren’t gonna stop our mates the molluscs from taking on too much acid. Which might be fun for them, but makes the food chain feel a bit woozy. The other teeny, tiny problem is that the right geo-engineering solution doesn’t exist yet. Drat. How can we get this done? Any ideas? Sheet of plastic down a small incline. Invite your friends over. Run some soapy water down it, get into your togs and go for it! yyaaaaaaaaaahhhooooooooo! Party while you still have the chance. I think we’re all doomed. 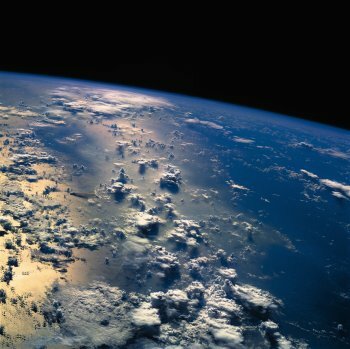 If you are interested in this stuff, I highly recommend having a listen to the ABC Background Briefing episode on climate engineering (http://www.abc.net.au/rn/backgroundbriefing/stories/2009/2444935.htm). Fascinating and thought provoking. stay tuned for a follow-up post on this topic. Previous Previous post: A stab in the back for the heart of the nation.